If you are connecting to Central or Global Administration, you need the correct administrative rights. Note: Remember to never connect directly to the web application. For helpful advice on Connection Issues and Alternate Access mappings, please see this blog. Please take the following steps to connect to your SharePoint environment using Explorer. Insert the Central Administration Address, Global Administrator address, or the Site Collection address. To manage all sites: Use your Office 365 Administration Center or SharePoint Central Administration address. To manage a single site: Use your Site Collection address. Current Windows User: Connect using your current Windows session credentials. Other User: Connect by manually entering a username and password. Browser: Connect through a Browser Authentication session. Your username for the Central Administration Address, Global Administrator address, or the Site Collection address. Your usual password used to access the Central Administration Address, Global Administrator address, or the Site Collection address. Your workstation may use the SharePoint single sign-on (SSO) feature, which will automatically login without asking for credentials each session. Disabling single sign-on will ensure that you must login each time you connect using browser authentication. If you notice unforeseen behavior associated to your connected account, you should disable single sign-on to ensure that you are logging in with the correct account. Disabling the single sign-on option will force the app to prompt for user credentials during the authentication process. Using your Central Administration port will allow you to have access to your entire SharePoint on-premises Farm. Use Central Administration to manage all site collections. Enter the name of your server followed by your port number. Depending on the address you used, you may be prompted to connect to all of your Site Collections. This is normal, it occurs because we frequently copy the address from our address bar, and that address is associated to a specific site in the Central Administration, but not the Central Administration itself. To complete this action, you must have administrative rights. When you first build your SharePoint farm, the Configuration Wizard automatically generates a five digit port number. Some users choose to modify it through the SharePoint Management Shell. Using your Global Administrator Name will give you access to your SharePoint Administration Center on Office 365. Use your Global Administrator to manage all site collections. Enter your Global Administration address. The format is usually "company-admin.sharepoint.com". 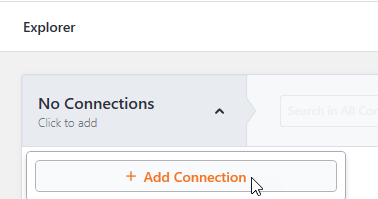 You will now be connected to your Global Admin Center. The Global Administration Name can be accessed through the Azure AD portal or by using PowerShell. For a complete guide on accessing your Global Administration Name, please click here. A quick backdoor way to access the Global Administration Name is to sign into your Office 365 and find it in your address bar. When you connect to your site collection, you are not accessing your entire Farm or Tenant. This connection method allows you to manage only one site collection. Enter your site address in the Site Address field. Since you can only access all Site Collections through connecting to your Central Administration, you will be prompted to Continue, or Change Connection. You will now be connected to your Site Collection.